We are a leading Manufacturer of autograph note books from Sivakasi, India. 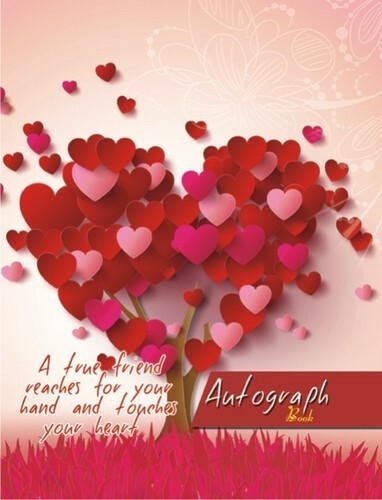 We are involved in present an extensive range of Autograph Note Books. The range is developed by professionals using the advanced techniques and best quality pulp and paper which are sourced from trustworthy merchants of market. Our products are available in varied patterns that meet on precise necessities of our clients. Looking for “Autograph Note Books”?